In this post, I am going to show how to activate windows 10 using CMD. Easy to execute this trick and it takes only 1-2 min and the best part is this works like you’re using Genuine windows OS. So, you have a Windows Operating system in your desktop or Laptop. There are so many ways to activate Windows but in this method of activation, you just need to access CMD (Command Prompt) to make your Windows 10 genuine. People install windows 10 in the system but always searches on the internet for some kind of some activators. I know these software works but I am talking about the CMD trick. By this trick, you can reset your 30 days trial and you can use this trick again after 30 days expiration of windows, got it. Yes! with this trick you can make your Windows genuine temporarily for 30 days. This trick actually resets the trial counter, that’s the reason it’s the oldest trick to activate windows and still works. Step 1. In your laptop Type CMD in the search box. Step 2. 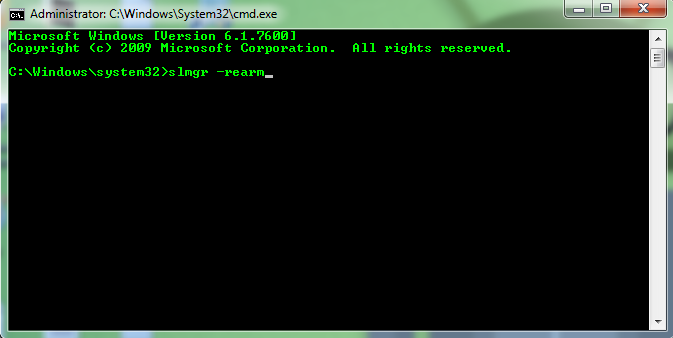 Then CMD Icon will show, right click on CMD and run as Administrator. Step 4. That’s it, alert message will be displayed after the above step that you need to restart for changes take effect. Step 5. Now just restart your computer and see your window is now genuine. NOTE: Make sure you’re typing right keywords if you did any mistake in typing the command will not work. If this Windows Activation method is working for you, share your views in comments and share this post with your friends.